iBliss the company based in Canada have produced The Original Cannoli which features three Cannoli themed e-liquids. iBliss being one of the biggest e-liquid manufacturers in Canada, makes the likes of seasoned vapers very excited to hear of these three brand new flavours..
Light italian pastry crust with a vanilla cream filling, ideal for the cream lovers of the vaping world. 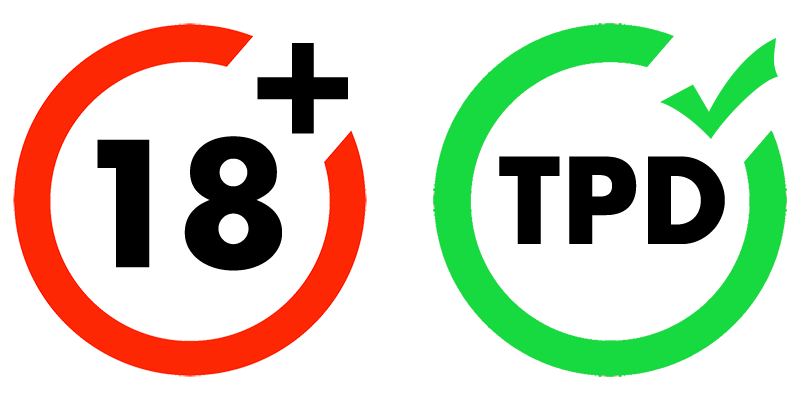 Thick delicious cream hits the taste buds on the inhale, with a soft and smooth hint of crisp pastry on the exhale. A very dense and smooth vape to say the least with a very thick and creamy vape delivered very softly to the palate, heavy yet not overpowering. A flavour that ensures you wont get tired of it, with that sweet, creamy moreish taste will definitely keep you coming back for more. 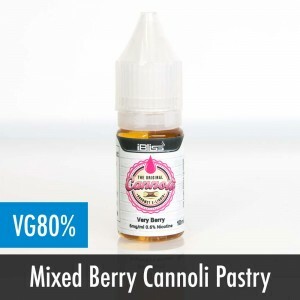 A cream filled blend of fruity sweet strawberry, tangy blueberry and ripe raspberry, Very Berry brings the delicious flavours of the original Cannoli as a base paired with the courageous mix of the strong, sweet yet smooth taste of raspberry, blueberry and strawberry all in one e-liquid. Syrupy in there complexion, the raspberry and strawberry hit almost immediately on the inhale, with the tart blueberry following on the exhale. despite all these flavours in one e-liquid the creamy cannoli flavour is still very much present in the background. Naturally sweet banana with a flaky crust and cream filling, similar to very berry the Original Cannoli is still present in the background yet you recieve a sweet creamy banana taste on the inhale, heavy creamy sensation yet not over powering, very much a change of pace to the mixed berries. This is followed by the exhale of the crisp flaky crust on the exhale, this e-liquid once again will keep you coming back for more, truly and e-liquid for the more sweet toothed vapers.